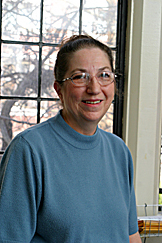 Elaine Miller, associate professor of mathematics. She has been teaching at UT since 1984. "I have always hated math, but with Mrs. Miller, I have learned to enjoy it," wrote one nominator. "She understands the frustration that is involved with her subject and that everyone is different so she takes her time to thoroughly explain everything." Another noted, "She brings a wonderful, friendly attitude to class that makes learning business math fun. She's an asset to the entire University." And another wrote, "She is one of the few professors that I remember with the fondest memories." "Receiving this award is a great honor," Miller said. "My teaching philosophy is quite simple. I have high expectations of the students. I am always well-prepared for my classes and I have fun in the classroom. I hope I am able to convey the beauty of mathematics and the enjoyment that comes from mastering this useful subject." Edward J. Stelnicki, lecturer in mathematics. He has taught at the University for 11 years. Stelnicki was a teacher and administrator for 32 years with Washington Local Schools and was twice nominated for Ohio principal of the year. "Mr. Stelnicki does an unbelievable job at getting everyone in the class to participate and understand the material being taught. Everyone is comfortable enough to ask him questions, and he answers them in ways we can comprehend," wrote one nominator. Another wrote, "Mr. Stelnicki is the best teacher I have. He looks at the class when he does a problem so he notices if someone doesn't understand it. He will go over the problem until he or she gets it right." "I want to challenge my students to do their best. I expect them to work hard," Stelnicki said. "My purpose as a teacher is to provide a learning experience that will last a lifetime and be useful in the years ahead." 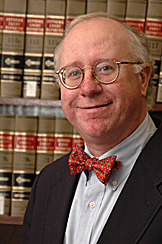 James Tierney, professor of law. 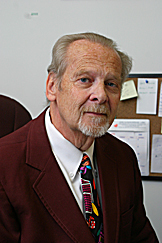 He joined the UT faculty in 1988. Prior to teaching, he practiced law in New York and Washington, D.C.
"Professor Tierney is passionate about his work. He isn't like most professors who just go through the motions," wrote one nominator. "He treats each student as if he or she is the most important student in the school. Also, he is one of the few professors who will come down to the forum just to chat with students." Another wrote, "He teaches Contract Law and Federal Income Tax. Both can be very complex, difficult (if not maddening!) subjects, but Professor Tierney breaks the material down in a clear and concise manner to make it understandable." "In my teaching, I try to show respect for the abilities of my students and for the diverse experiences they bring to the classroom," Tierney said. "I often think I have a hidden advantage in teaching Contract Law and Federal Income Tax, in that students don't often expect to enjoy these subjects. It's rewarding to see my students become excited and engaged as they realize that the law in these areas is not a dry set of abstract rules, but consists of principles that affect individuals every day."